We have a strict policy to NOT give, sell, or provide access to your information to any unaffiliated parties. In respect to our website visitors, we limit the amount of information we ask from those customers who purchase from our online gift shop. We make no attempt to obtain any financial information from our visitors. When you make a secure purchase here, your financial transaction is conducted entirely on the secure PayPal site. You order a product here and we ship the product to you from here. We handle none of the financial transaction. Period. EatMoreChiles.com and parent AZP Worldwide LLC may use personally identifiable information collected online to develop and improve the products, benefits, and services offered on this website by EatMoreChiles.com or selected business partners. EatMoreChiles.com may also use e-mail addresses or other personally identifiable information to contact users who directly communicate with EatMoreChiles.com. 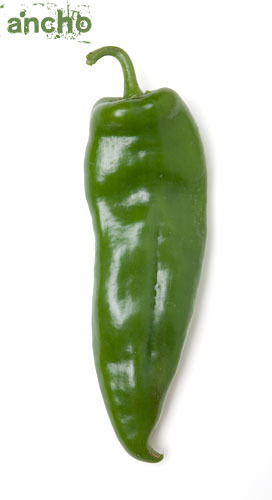 For example, EatMoreChiles.com may contact users to confirm a gift shop order or to request missing information about a user's order. At NO time will we ask you for your credit card number. EatMoreChiles.com and parent company AZP Worldwide grant you a limited license to access and make personal use of this site upon formal request and not to download (other than page caching) or modify it, or any portion of it, except with expressed written consent. This license does not include any resale or commercial use of this site or its contents. All photos, images, trademarks, and logos on the EatMoreChiles.com website are copyrighted © 2016 AZP Worldwide LLC, and are registered with the Library of Congress in the United States Copyright Office. All photographs are our intellectual property and our economic lifeblood. We ask that you respect our property. None of our images may be downloaded, copied, screen captured, shared or reproduced in any manner without prior written permission from AZP Worldwide LLC. If you wish to use any of our copyrighted images for personal use, you may do so ONLY if you request permission by e-mail AND you receive a confirmation reply. If you are interested in using any of our photographs, images or graphics for any commercial use - big or small - we can license usage rights. See the paragraph, 'License Chile Photos', below for additional information. Please respect photographers' copyrights. It's their livelihood. The eatmorechiles.com website and the contents herein are provided on an "as is" and "as available" basis. EatMoreChiles.com and it's parent company AZP Worldwide LLC make no representations or warranties of any kind with respect to the website or its contents, and disclaims all such representations and warranties. EatMoreChiles.com does not represent or warrant that the information accessible via the website is accurate, complete, or current; that functions contained on this web site will be uninterrupted or error-free; or that defects will be corrected. Where applicable law does not allow the exclusion of implied warranties, the foregoing exclusions may not apply to you. It is understood that content provided by third parties which is available through this website represents products, opinions and judgments of a respective third-party provider, sponsor or licensor. EatMoreChiles.com and parent AZP Worldwide LLC neither endorses, nor is responsible for the accuracy or reliability of, any product, opinion, advice, or statement made on this web site. Under no circumstances shall EatMoreChiles.com, AZP Worldwide, or any of its officers, directors, employees, agents, distributors, or affiliates, be liable for any loss or damage caused by a user’s reliance on information obtained from or through this website or any loss or damage caused by a user’s exposure to information herein. It is the responsibility of each user to evaluate the information, product, opinion, advice, or other content available here. EatMoreChiles, its parent company AZP Worldwide and affiliates attempt to be as accurate as possible. However, EatMoreChiles, AZP Worldwide nor their affiliates warrant that the descriptions of services or other content of this site is accurate, complete, reliable, current, or error-free. EatMoreChiles, AZP Worldwide and affiliates provide links to other sites over which they has no control. They are not responsible for the availability of such external sites or resources and do not endorse and is not responsible or liable for any content, advertising, products, or other materials on or available from such sites or resources. -The Stevenson Crew at EatMoreChiles.com!